If you haven’t already signed up there’s still time to do so HERE. 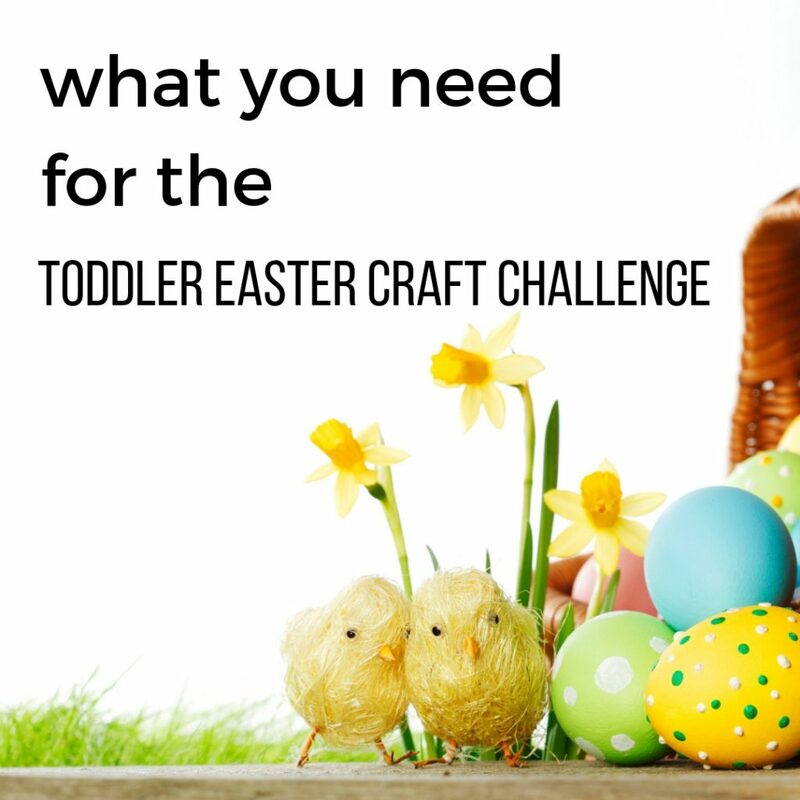 For everyone else, we’re due to kick off the challenge on Wednesday and I’ve put together everything you need to get your toddler involved in some fun and simple Easter crafts and activities. The idea of this challenge is to keep things simple and inexpensive. I don’t want you to go out and spend a fortune. There’s a good chance that you have many of these items (many are from my basic resources list), and remember that you can always improvise and substitute items. Your kids won’t care if you use a different color paint or the wrong type of paper. The other thing to remember with this Easter challenge for toddlers is that we are focusing on the process. That means we want your toddlers to be as involved as possible in the activities. This means they’re much more likely to be engaged in the activities and have fun, but less chance that they’ll look ‘pinterest worthy!’ It’s about having fun though! Poster paints in various colors (yellow is a good one to include). I like to use packs like these. Craft gift bags (a plain paper bag will work just as well). These will be used as Easter egg bags so choose whichever size you prefer. googly eyes I like the ones with a sticky back as they are much easier to use but normal ones are fine too. Plastic container or tray to use for a sensory bin. Each day you will receive an email with that day’s challenge. When you’ve completed the activity we would love to see pictures! The Facebook group will be a great place to support each other and share what we’ve been doing. Keep an eye on your inbox on Wednesday as we get started! 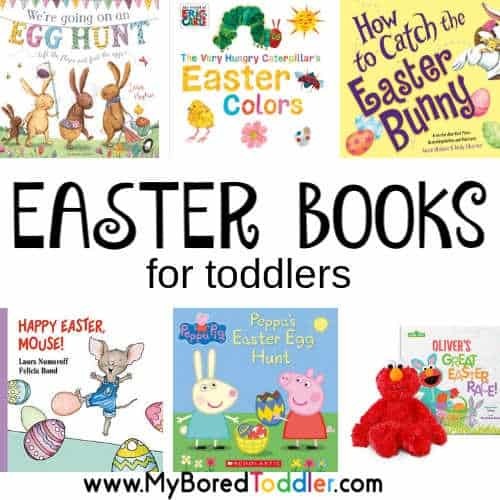 In the meantime why not grab some great toddler Easter books like these ones. It’s always great to incorporate a book into activities and any excuse to read is a good one!